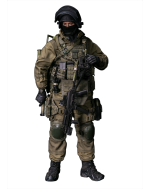 OSK1408262 Custom 1/6 Scale Gun Belt For Rick Grimes Figure Use - Highly Detail - Soft high qu..
DAMTOYS 78015 Russian Spetsnaz FSB Uniform Set + Vest Include: Shirt, Pants, Belt, Vest .. IN STOCK! 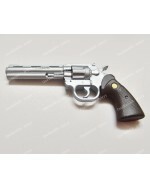 OneSixthKit 1/6 Scale Colt Python .357 Magnum Caliber Revolver Good for Walkin.. Custom 1/6 Scale Toy Folding Chair X2 We are selling 2 piece of 1/6 scale plastic toy foldi..
1/6 Scale Plastic Toy Black Ashtray Diameter: Approximately 2 cm ***Attention: This is 1.. 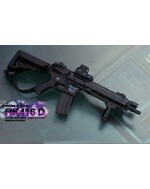 IN STOCK Custom 1/6 Scale HK416C Rifle Set Everything in picture is included except the .. IN STOCK!! 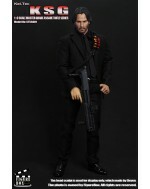 Set of 3 - 1/6 Scale Knives from Hot Toys MMS276 Commando John Matrix Figure Each K.. IN STOCK!! 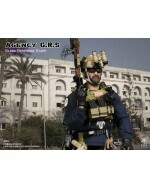 1/6 Scale Combat Knife from Hot Toys MMS276 Commando John Matrix Figure Approximate.. IN STOCK!! Hot Toys 1/6 Scale Desert Eagle Pistol from MMS276 Commando John Matrix Figure ***C.. 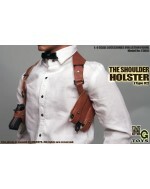 IN STOCK MG Toys 1/6 Scale Mens Brown Shoulder Holster Set INCLUDING: - Brown Holster .. 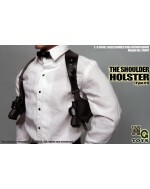 IN STOCK MG Toys 1/6 Scale Mens Black Shoulder Holster Set INCLUDING: - Black Hol.. 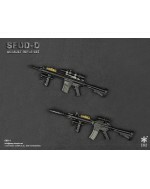 IN STOCK Easy & Simple 1/6 Scale 06011 SFOD-D Assault Rifle Set Attention: Only Style A av.. IN STOCK!! Custom 1/6 Scale 2X Blade's Pistol (a pair) - Resin cast in one piece, magazine can.. IN STOCK!! 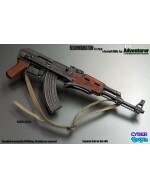 Custom 1/6 Scale Blade's Uzi - Resin cast in one piece, magazine cannot be removed .. 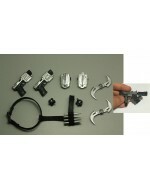 IN STOCK Custom 1/6 Scale Blade's Accessories Pack A Everything is included in below picture~ .. 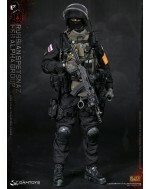 IN STOCK Custom 1/6 Scale Blade's Accessories Pack B Everything is included in below picture~ .. 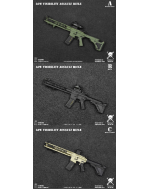 IN STOCK Cyber Toys 1/6 Scale AKS Assault Rifle ***Click to enlarge below pictures**..
General's Armoury 1/6 Scale GA0001 "Low Visibility Assault Rifle"
General's Armoury 1/6 Scale GA0001 "Low Visibility Assault Rifle" ***Style A & B a.. 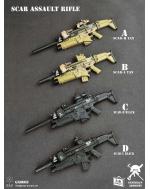 Custom 1/6 Scale Blade's MAC-11 Machine Gun - Resin cast in one piece, magazine cannot be r..
Easy&Simple 26010 1/6 Scale GRS/ Agency Globe Response Staff Breakdown List Real like Hea.. 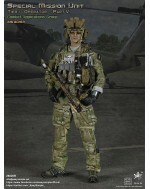 Custom 1/6 Scale Camouflage Umbrella **Click to enlarge below pictures** .. 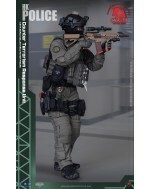 Figure Box 1/6 Scale Kel-Tec KSG Shotgun ***Click to enlarge below pictures*** ..
Easy & Simple 26009S 1/6 Scale SMU Tier-1 Operator Part III ***Limited to 200 units worldwide..
DAMTOYS 78059 1/6 Scale RUSSIAN SPETSNAZ MVD SOBR LYNX PARTLIST: REAL LIKE HEADSCU..
Easy&Simple 06016 - 1/6 Scale PMC Weapon Set ***SET C SOLD OUT*** ONLY A & B availa..
Easy&Simple 06017 - 1/6 Scale Doom's Day Weapon Set - There are 3 style rifle sets, the liste..
General's Armoury GA2001 1/6 Scale Heavy Breacher Uniform and Armour Set A Features: ..
General's Armoury GA003 1/6 Scale SCAR Assault Rifle in 4 styles - There are 4 style rifle sets, ..